CR Magazine is accepting nominations through April 30, 2018, for the 11th annual Responsible CEO of the Year Awards. 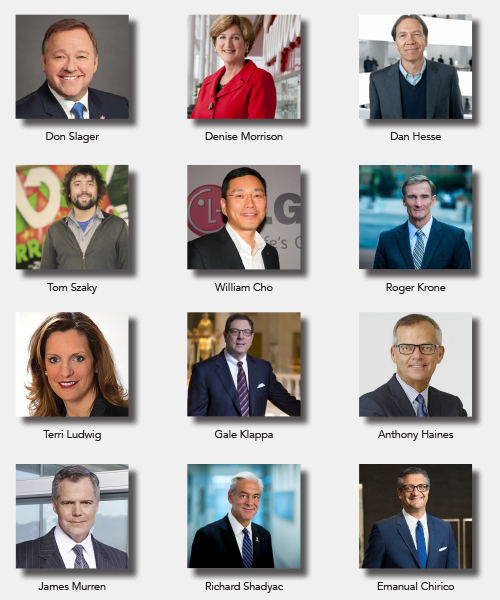 These awards are presented to CEOs that visibly exceed standards in the areas of employee relations, environmental impact, sustainability, human rights, philanthropy and corporate responsibility practices. Emanual Chirico, Chairman and CEO, PVH Corp. The 2018 awards dinner will be held at COMMIT!Forum, Oct. 24, at MGM National Harbor, just outside Washington. The nomination period for the 2018 CR Magazine Responsible CEO of the Year Awards ends April 30, 2018. There is no fee to nominate a CEO.